Samuel B. Harris is renowned for his contribution in non-fiction religious and philosophical literature. He is an established American author, neuroscientist, philosopher and a lecturer. He has produced numerous books and written many articles advocating rational skepticism and the New Atheism. Harris was born on April 9, 1967 to a secular household in Los Angeles. His mother, Susan Harris, is a TV producer and father, Berkeley Harris, an actor. He lived in a worldly environment at his home where discussion of religion was not quite welcomed. However, Harris developed a keen interest in the subject as he grew up. He vigorously learned martial arts in his youth. During his graduation years at the Stanford University, he experimented with ecstasy drugs. The experimentation became a source of powerful insight which amazed him. He left behind this phase as his growing interest in spirituality and philosophy provided him with an opportunity to develop a spiritual insight. While pursuing English major, Harris left Stanford University in the middle to learn meditation from Hindu Buddhist teachers in Asia. He resumed his studies at Stanford in 1997 and attained bachelors of arts in philosophy in 2000. Years after Harris received a Doctor of Philosophy degree in Cognitive Neuroscience from University of California. Post 9/11 attack, he began working on his debut book. The End of Faith: Religion, Terror, and the Future of Reason was published in 2004 in which he undermines the validity of religions. Despite his years of spiritual learning he contradicts himself with the statement that religious beliefs do not hold truth or make any sense. He believes in scientific skepticism which fails to accept any argument or notion without proper evidence. He desperately tries to substantiate his views giving an example that if a secular person starts following such beliefs then his actions would automatically be regarded as an insane person’s doing. Despite being an atheist in every sense of the word, Sam Harris is reluctant to use the word to describe his position. He tries to defend himself that the term does not necessarily define his stance but merely stands as a liability. In 2006, he published his response to the negative feedback he received for his first book. His next book was in an open letter form, titled Letter to a Christian Nation. He bluntly remarks that the intention of his writing is to obliterate any moral or intellectual pretensions posed by Christianity. One of his arguments revolves around the human evolution theory and naivety of the notion of the existence of God. In his defense he states that there would have been no natural calamities if there was a Higher Power at work thus invalidating the theory of an Intelligent Design. Furthermore, Harris has written a number of articles for notable newspapers like The Washington Post, The Huffington Post, Newsweek and Los Angeles Times. There is a diverse range of the subject matter he discusses in his articles, which include free will, terrorism, religion, neuroscience and morality etc. In addition to writing, he delivers lecturers in well-known universities of America and England. He has also made media appearance on many talk shows and in documentaries, including God Who Wasn’t There (2005) and The Unbelievers (2013). 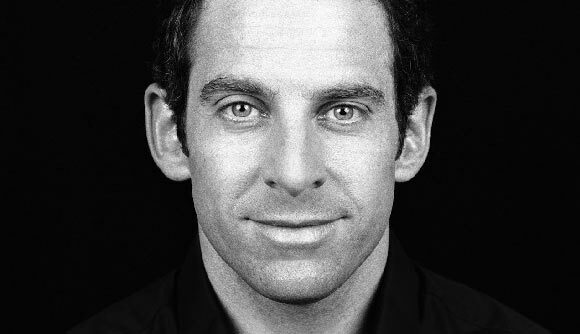 Other distinguished works of Sam Harris, include The Moral Landscape (2010), Lying (2011), Free Will (2012) and Waking Up (2014).